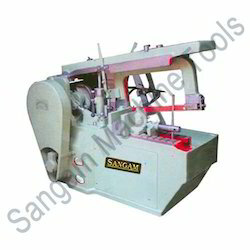 We are one of the prominent and topmost manufacturers, traders and suppliers of the finest quality of Hacksaw Machine. For energy efficient metal cutting, the offered machines are widely used in different industries. By using cutting-edge machinery, our engineers and technicians manufacture the offered machines in compliance with the industry set norms and regulations.